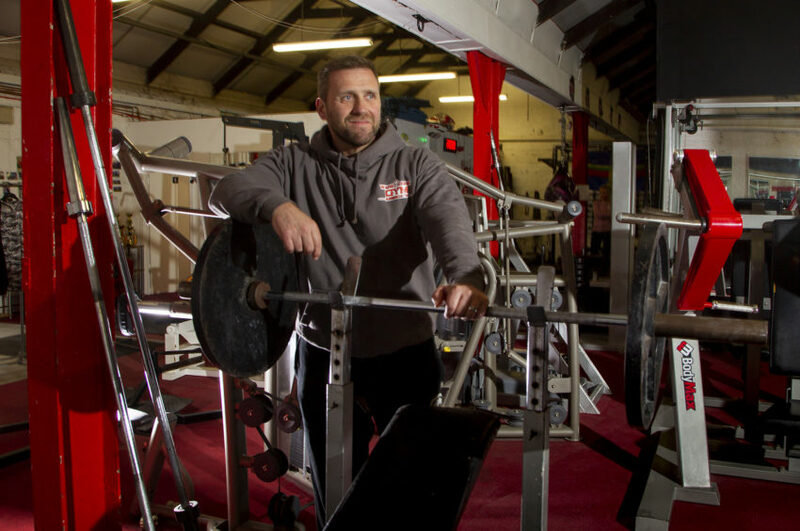 Lee Page owner of The Warehouse a gym in Arbroath. An Angus gym has scored an incredible coup by bringing a world-class strength athlete from Russia to attend a sold out two-day event. Mikhail Koklyaev has cleared his diary to travel to Arbroath on the invitation of gym owner Lee Page. The pair met when Lee was in Russia on a training camp a few years ago and they have remained firm friends since. Now Lee, 47, is preparing to welcome the former World’s Strongest Man competitor to his Dens Road gym. He said: “It’s a massive thing to be bringing Mikhail here. He is specifically coming over from Russia to Arbroath. “Over the last decade he is one of the biggest names in strength sport and is arguably the strongest man in the world. “He is an eight times Russian champion, although he never competed in the Olympics. Lee, an international weightlifter, weightlifting record holder and British Power Lifting Champion, took part in the training camp with top weightlifters from Russia, including Mikhail. “We were training with an Olympic champion and silver medallist. “We were there for nine days at the former Olympic training facility for Russian athletes and I got to know Mikhail quite well. The seminar at the Warehouse Gym is on Saturday and Sunday, April 27 and 28, and will include power lifting, strong man training and weightlifting. Mikhail, who was placed third in the Arnold Strongman Classic in 2006, 2008 and 2013, as well as second in 2009, finished on the podium at the IFSA World Championships in 2005, 2006 and 2007 and finished second in the IFSA Strongman World 2-Man Championship in 2007. He is a seven-time Strongman Champions League grand prix winner and has hundreds of thousands of followers online. Mikhail, 40, will personally critique the participants’ form at the seminar. Lee continued: “This is a huge thing for Scotland, to have someone like Mikhail coming to Arbroath. “As well as an accomplished strength athlete, he is also a talented singer, pianist and accordionist. “We’re going to organise a wee shindig for when he is here and are hoping he will give us a song. “For me it’s such a big thing to get him over, especially the fact he is still a relevant strength athlete.